This year’s Product Camp date and venue is . . . drum roll please . . . . .
September 16th at General Assembly! You won’t want to miss this event, so post it to your calendar today. Last year’s attendance reached capacity, so be sure to register as soon as we announce that registration is open. P.S. Stay tuned for upcoming events on brainstorming session topics and tracks, how to pitch a session, and how to create a winning session for ProductCamp ATL. And make sure you check us out on facebook , Twitter, and LinkedIn. Count them, 4 ATL locations for the May 2017 lunch gatherings. A curated product listing for you at Meetups. Join us for the annual ProductCamp ATL Happy Hour and Volunteer Call. We want to make this year better than all the rest. If you want to volunteer with ProductCamp and haven’t been sure how to get engaged, this is the event to go to. Meet this year’s leadership team, hear them talk about the roles that we need to fill, and align your interests with ProductCamp needs. Here is a product related ATL Meetup list, curated for just for you. P.S. Don't forget to update your profile and preferences if you haven't done so recently! Come join us Wednesday, April 26 for a ProductCamp ATL happy hour. We'll network, have a few drinks and sharing the date for ProductCamp ATL 2017. Here are this months lunches and locations. Here are our lunch location for Wednesday, February 15th. Here are our ProductCamp Lunches for January! I have had the fortune to work with Jason Brett at Silverpop and through our transition to IBM over the last 2.5 years. When I first started at Silverpop, I saw ProductCamp marketing paraphernalia all over the office, I finally asked someone who immediately pointed me in Jason Brett's direction. Jason gave me the quick nonchalant rundown of how it works. Product people get together and pitch their presentations and dot vote which ones they'd like to sit through. A total of 20 sessions are selected for the day’s agenda. And that was pretty much what I knew for two years. Always eager to go, but one or another life event was in the way of my attendance. But, this was the year- I was going to go to ProductCamp. So I asked Jason how can I plug in and help? Low and behold ProductCamp had been scheduled to take place in 4 weeks. Perfect timing to ask to help out, huh? I was immediately invited to a volunteer gathering and signed up for ProductCamp email promotion execution. Exposed to all the pre-event backend work that this event takes I am completely in awe at the sophisticated organized chaos that this volunteer team does in obtaining sponsors, content for blogs and email, website updates, social media updates, session proposals requests and speaker wrangling, dinner planning, board planning, communications, and much more. After all the hard work by the volunteer team, the well planned ProductCamp Saturday morning had arrived. At Ponce City Market, I entered General Assembly, a fun industrial space for gatherings just like ours. A dedicated registration area, main hall, breakout rooms, and lots of AV equipment. When I entered the registration area, I was surprised to learn what little I saw behind the scenes volunteering. I saw a swarm of 20 people setting up and getting ready for the 350 registered attendees. The main hall in General Assembly had chairs awaiting 350 butts, and by 9 am they were filled. The entire area was a buzz, speakers registering, writing in new sessions. Introductions to new people, and getting to know the vibe of lots of Product people in one room. We are interesting and elusive creators and it was an amazing energy I've never quite experienced. A feeling of excitement for the future. Jason kicked off the morning and the session pitches began. Speakers where like circus leaders pitching the desire for you to attend their session in 30 secs. If you timed out you got the horn. Otherwise known as Jason Brett’s sound toy from hell. 38 sessions, 38 passionate pitches. I also pitched my write in session. One of three women pitching. 3 session proposals, pitched by 3 women out of 38 session proposals. (Next year ladies I challenge you to speak up and speak out. Women represented half of the attendee’s, we should represent half of the speaker session proposals, so bring it!). I was up against some serious speaker veterans and I was towards the end the 35th session pitch. I attempted a short and sweet sell on release planning with an old wedding saying anecdote. We wrapped the pitches up and then the dot vote. All 350 people dot voted on their 3 favorite sessions. While I barely assisted the mad dash of volunteers creating the schedule on sessions selected, Jason kept the crowd going. Sponsors spoke and in an open mike night style real jobs where being pitched by attendees. Then we were off! The 2016 session schedule was posted! Fueled by Sublime donuts and Jason's deli breakfast options and a ton of coffee we all broke out. The sessions and time matrix had been posted and all divided. BTW, My session didn't make the dot vote cut, and now I know way more for next year's session proposal! Volunteers arrived- see the entire day’s agenda here. 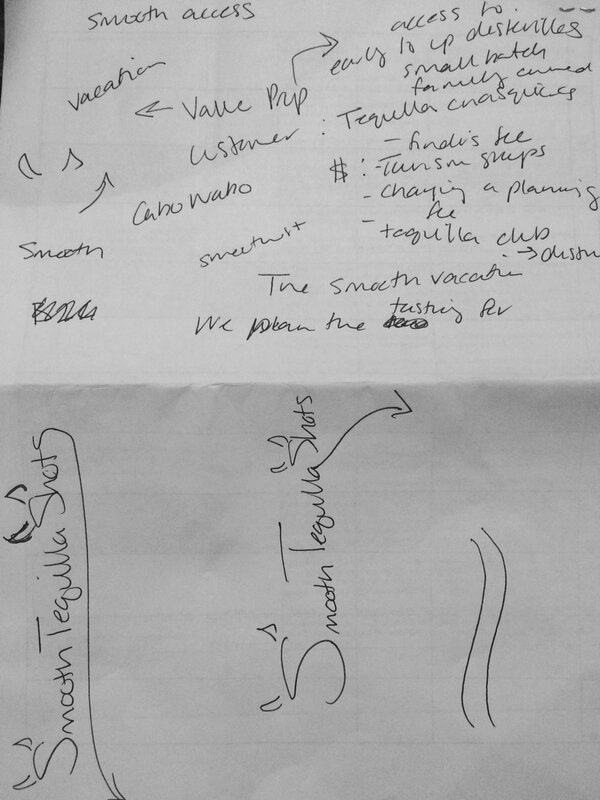 Our company name SmoothTequilla, logo for bonus points, and some brainstorming on value props. Session Name: I want to be a Product Manager! I was exhausted a saw an opportunity to exit stage left at 3:30, as I had a family prior family commitment. I know next year, not to like my family so much ;) I highly suggest to go to all networking events before and after this event. So, I missed the finale, but I know that Steve Johnson won best session and David Eckoff won best presenter. You'd think by the end of the event things would wind down. Nope not for this chick. The beat of the ProductCamp volunteer group keeps going. Bringing this innovative group, us, together. Lastly my parting words, IMO, this event not only accelerates your learning, empathy, increases your ability to change your life but also connects you on a whole new level in our product world. What did you think? Was this your first year or have you been before? What sessions did you go to and what did you think about them? What were your takeaways? Chuck Carr is a veteran Atlanta area technology product manager, having worked in companies such as Turner, AT&T, Fiserv, Intuit and FIS. Here Chuck shares his perspective on product management as a career, influencing others and the difference between a product owner and a product manager, based on his session on the same topic at ProductCamp with co-presenter Mark Knapp. Why did you choose to speak about the difference between a product owner and a product manager at ProductCamp? Four years ago a speaker at Product Camp introduced me to the Agile software development methodology and the Product Owner job title. At the time I didn’t understand the distinction between Product Owner and Product Manager. Leading a team of Product Managers and Product Owners and after experimenting with different staffing configurations, we realized that the product manager and product owner were each substantial and distinct roles – and best served by 2 people. I met my co-presenter Mark Knapp at ProductCamp and realized we had a meeting of minds on the topic and thought it would be useful to share. The Product Manager is responsible for the business case, the product roadmap and high level business and product requirements. He or she also owns many customer-facing and sales channel responsibilities and ensures that what is delivered to market is what the market will support and purchase. The Product Owner is embedded with the development team and drives the tactical execution of the product plan and the delivery of a high quality product on time. He or she is responsible for requirements at a Product Backlog Unit (PBI) level. In Agile, the PBI or product backlog item is a unit of work small enough to be completed by a team in one sprint. Considering all of the end-to-end tasks required in each of the roles, we concluded that people just can’t be in 2 places at once - In Agile, the PO is embedded with the development team and must be accessible practically all day, every day. If the PM is out representing the company at a tradeshow or visiting a client, he or she just inherently can’t be always accessible to the development team. One of the goals of Agile was to bring this market and customer facing person into the development process. If they are 2 different people, doesn't it defeat the purpose? How does the product owner make sure he is in sync with the market? That's a good question. I always encourage overlap. I’d never want the PO to be so disconnected from the market that he or she loses touch with the customer. Nor can the PM be so disengaged from execution that the vision or timeline becomes impractical. About 10-15% of the time, the PO should be external facing and vice versa for the PM. You are a career product manager. How have you seen product management change and not change over the years? My first PM role was with Bellsouth/AT&T. It was a highly matrixed company. I learned there that leveraging the expertise of others was a requirement for success. Also I had a boss at that time who established a culture that the Product Manager was the CEO of his or her product and is accountable for revenue and profitability. For me, those haven’t changed. What has changed is that conditions are more fluid – the pace of change has accelerated. Responding to change has required us to become more flexible and literally take a more ‘agile’ approach. Yes, and what a growth experience! Vitrue, which since has been acquired by Oracle, was the leading provider of social media publishing software. There I learned how businesses harness the marketing potential of social media to build and manage their brands and how to measure and maximize interactions across Facebook and Twitter. I was able to bring some of that Vitrue experience to Financial Services although I think the industry is still figuring out how to fully realize the potential of social. Payments is such a hot field – exploding in mobile and online. What are some of the things people are missing, that you know as an insider? You’re right; it’s an exciting time. We see consumer needs and preferences evolving very quickly along with rapid advances in technology. We talk a lot about incumbents and new market entrants and prospective disruptors – how Apple and Facebook and PayPal and Square may disrupt the relationship between consumers and their current banks, credit unions and brokerages. Ongoing change and disruption are likely inevitable, but definitely financial institutions are innovating and working hard to stay relevant in this digital age and to stay connected with their customers. What advice do you have to someone looking at Product Management as a career option? Personally, I continue to love the challenge of product management. There are definite career progression opportunities, extending to senior leadership roles. As a PM your scope spans the strategic and the tactical; you touch everything from business plan to product ideation to product development to marketing to sales. You do get to be CEO of your product, although the need to develop collaboration and communication skills is paramount. One of the key skills for product managers is influence. What are your tips in developing influence? I have seen different styles. I subscribe to a collaborative style and like to engage a broad set of stakeholders early, soliciting inputs about the opportunity and constraints at hand. I’d suggest building consensus and support for your initiatives along the way. Also, stay nimble – allow yourself and your plan to be influenced by new information and the inputs and good council of others. What are some of the software tools or Apps that you use regularly for work and would recommend? Axure Interactive Wireframe Software, Loop 11 Online User Testing Tool. 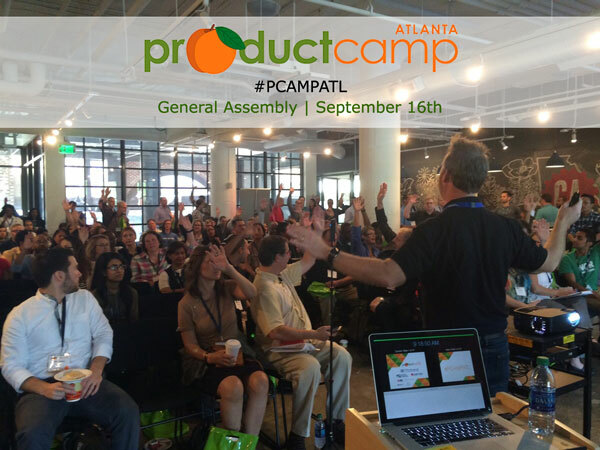 ProductCamp is all about learning from the product management community and we are always looking for people from the Atlanta product management community to feature on our blog. To be featured on the ProductCamp blog contact me (Tiyash) on Linkedin. ProductCamp 2015 Always Chat Going on Now! Michael Ordan from Career Builder talks about working with remote teams, getting user feedback and remembering while doing so that ' You are not the user'. I started working with an international team when I first joined the company in March. The team was spread between Munich, Paris, London, and I was in Atlanta. I was working on a new standalone product called Coach by CareerBuilder, which was designed to help provide career insights and value to people not just actively looking for a job. I was the only member of the team in the US so I was constantly interviewing users and incorporating the voice of the user into the team’s product decisions. Recently, I was given a new challenge of leading discovery for the consumer side of CareerBuilder. I am working on tackling new problems jobseekers may have and am actively looking to push the needle forward for CareerBuilder while keeping a pulse on the market. My first job out of college was as a technical recruiter in Manhattan. I was always talking to developers, designers, and product managers and became very interested in how product development came together. After learning more about product management by speaking to experienced product managers in New York City I decided I wanted to pursue it as a career path. Shortly after I made this decision, General Assembly announced their first full time Product Management Immersive program and it was a no-brainer for me to apply. Tell us a little about your time at General Assembly. Why did you decide to attend and how did it help you? I decided to attend because I spoke to a lot of developers and designers that graduated from General Assembly while recruiting and heard incredible things about GA. It also definitely didn’t hurt to see these new developers and designers secure fantastic new jobs upon graduating as well. My time at General Assembly was nothing short of spectacular. The classroom environment led by two product managers from Google and Microsoft made it very easy for me to be inspired. My classmates and I also became such a tight knit family. We were 20 highly intelligent product managers that always set out to push each other to improve and learn more. This experience, combined with collaborative projects with the UX Design students and Web Development students, proved to be a very valuable learning experience. In addition to the countless collaboration opportunities we had, we also were all assigned a startup to work for as a product manager for the final 3 weeks. This got us a taste of what it is like to really work as a product manager for an actual company and was great to speak to in the countless interviews I would eventually go on after graduating. So when you moved to actually implementing some of the ideas that you learnt, what did you find most surprising– what struck you most? One of the most surprising things to me was definitely how much product knowledge I was able to share with my teammates and other coworkers while not having a ton of experience. Many people fall into product management from a different role and never had the luxury of learning from two top product managers / directors from companies like Google and Microsoft. I was surprised at how prepared I really was to be a product manager in a company as exciting and well known as CareerBuilder. You talk about being the only member of your product team in the US. What are you learning as some of the best practices of working with remote teams? Working with remote teams can be very challenging. It is crucial to be able to actually form a real relationship with your teammates. When your team is not in the same building as you it makes it a lot more difficult. The most important piece of advice I could ever give to a remote product manager is simple. Meet your teammates as quickly as you can and get overseas for a week or two. I always spoke to them via Slack and Google Hangouts but it didn’t compare to actually meeting them in Munich and London. As a product manager relationship building is paramount. After my team was able to actually have a beer with me and talk about everything but CareerBuilder, we became much closer. Those decisions you need to help influence quickly become a lot easier to influence if they genuinely like you. What are some of the challenges you see in product management? One of the biggest challenges in product management is definitely the stakeholder management part of it. It’s like trying to build a house when 10 other people are telling you what they want the house to look like from 10 completely different points of view. Being able to empathize with each of them and constantly reflecting your messaging to each stakeholder with their point of view in mind is one of the toughest parts of product management. I learned this very quickly while working here at CareerBuilder and this is an incredible skill to have. How do you then incorporate the voice of the customer into the product process? Always talk to your users or customers. I am always interviewing users or specific types of jobseekers to make sure we design for them in mind. Interviewing users, surveying users, conducting usability tests, and creating personas to always point back to when product decisions or feature prioritization comes up is how you make sure the voice of the customer is heard throughout the product process. The last nugget of wisdom to remember during this process is one I’ll never forget. You are not your user.